This was a sweep Splash & Dash event. The timings were an hour earlier than usual so we could watch the men’s Boat Race at 15:13 *. The day started gloomy and drizzly, but soon cleared up, though never got outright sunny. There was little wind, so the water was lovely and calm. 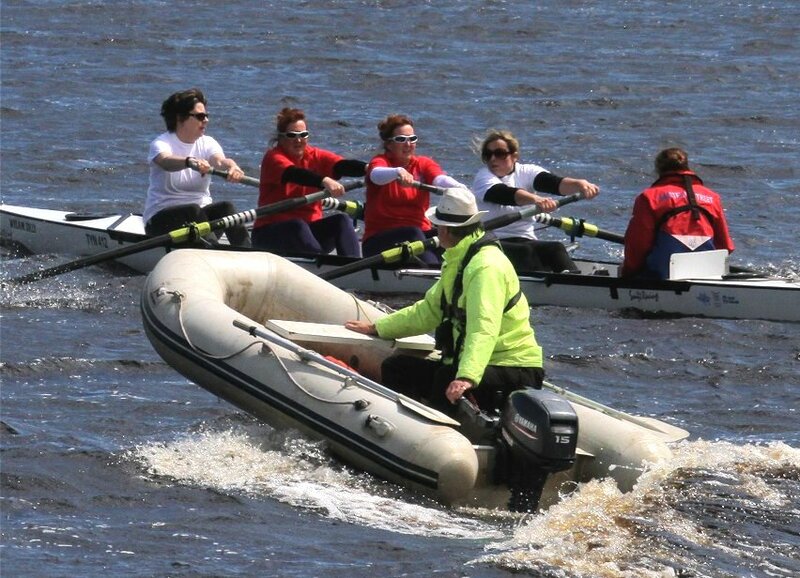 The large screen for the Boat Race was great and the food and general hospitality brilliant as always - thanks to DARC! Three teams got the maximum 8 points on the day - It's Chico Tyne (Tyne ARC) in the Open league, and Tynequila (Tyne ARC) and Weary Women (City of Sunderland) in the Women's. 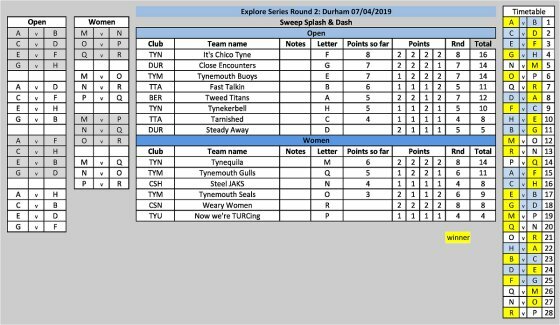 After two rounds Chico Tyne top the Open league on 16 points, followed by Close Encounters (DARC) and Tynemouth Buoys on 14, and Tynequila lead in the Women's league on 14, followed by Tynemouth Gulls on 11. There were lots of other good rows and it was good to see Sheffield RC back for a second time. For future events, please see the series home page for details as how to enter. Entries must be in each month by the preceding Wednesday tea-time. The results for Round 2 are shown below - click on the image for a larger jpg or here for a pdf version.